Save $150 on packages of $3,000 – $3,999. Save $200 on packages of $4,000 or more. Up to two children 12 and under stay free when staying with two paying adults in the same room. Stay three or four nights and get $200 off. Stay five or six nights and get $400 off. Stay seven nights or more and get $600 off. Stay three to five nights and get $300 in resort coupons. Stay six nights or more and get $500 in resort coupons. Hotel offer blackout dates: 11/6/18 – 12/23/18 and 4/1/19 – 6/7/19. Stay four to six nights and get $400 in instant savings. 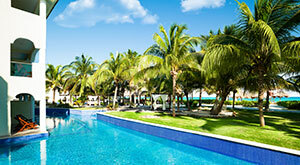 Stay seven nights or more and get $600 in instant savings. Hotel offer blackout dates: 12/23/18 – 6/7/19. 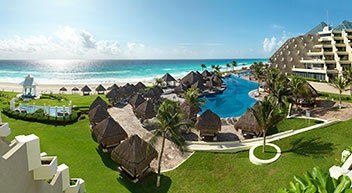 *Up to $200 per reservation promotion code savings apply on flight + hotel vacation packages of $1,500 or more to Cancun (CUN) or Riviera Maya via Cancun. Save $100 on packages totaling $1,500 – $2,999; Save $150 on packages totaling $3,000 – $3,999; Save $200 on packages totaling $4,000 or more. Savings is reflected in the package price when using promotion code SUNNYCUN at the time of booking and is based on total package price before discount is applied. Length of stay for flight and hotel components must match. Promotion code intended for redemption by individual consumer only. One-day advance purchase is required. Savings valid if booked 11/5/18 – 11/17/18 by 6:00 p.m. CT for travel 11/6/18 – 6/7/19. 1Resort coupons are issued per room, per stay. Resort coupons are issued in the amount of $200. Resort coupons are issued for limited discounts on select amenities including spa treatments, a romantic dining experience, and wine purchases. Resort coupons cannot be applied toward beauty salon services, spa product purchases, telephone charges, dolphin experiences, gift shop purchases, boutique purchases, internet service (where applicable), marina services, dive shop, medical services, car rentals, or travel agency services. 2Resort coupons are issued per room, per stay. 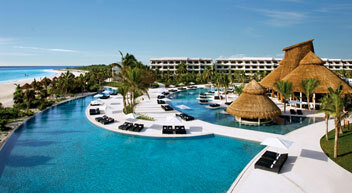 Resort coupons are issued in the amount of $200 or $400 depending on the resort and room category booked. When booking your vacation, look for the resort coupon messaging with your room selection to determine the amount of your coupons. Resort coupons are issued for limited discounts on select amenities including spa treatments, a romantic dining experience, and wine purchases. Resort coupons cannot be applied toward beauty salon services, spa product purchases, telephone charges, dolphin experiences, gift shop purchases, boutique purchases, internet service (where applicable), marina services, dive shop, medical services, car rentals, or travel agency services. 3Get $600 in resort credit in Diamond Club™ room categories or $300 in non-Diamond Club room categories. Use your resort credits towards items such as room upgrades at the time of check-in, wine purchases, and the Royal Spa. Additional details will be provided upon hotel check-in. 4The value of the resort coupons varies depending on length of stay and resort. Offer is issued as coupons for limited discounts on select amenities. Purchases may be required to take advantage of some of these offers. Use your resort coupons towards experiences such as room upgrades at check-in, romantic dinners, spa treatments, and more. Redemption information and details are provided at check-in. Resort coupons may not be redeemed for cash. Resort coupons are non-transferrable and must be used during the length of stay. Offer is based on double occupancy. Valid only for new bookings. Additional restrictions or exclusions may apply. Offers are based on availability. Offer is not available for group bookings. Subject to change without notice. 5Instant savings value at these resorts varies depending on length of stay. Stay three or four nights and get $150 in instant savings. 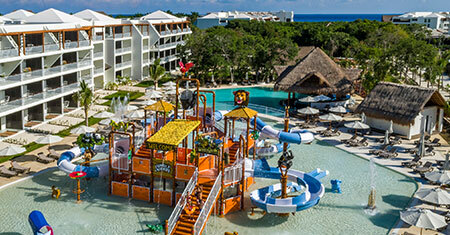 Stay five or six nights and get $225 in instant savings. Stay seven nights or more and get $300 in instant savings. Three-night minimum stay required. 6$35 spa coupon can be applied towards the purchase of an 80 minute Renova Combination massage. Offer is valid per adult, per stay.